Sing to Life: "Barrett, are you ready to sleep in my BIG BOY BED?" "No." "Barrett, are you ready to sleep in my BIG BOY BED?" "No." Big transition yesterday. The kids all swapped beds. The bassinet was getting just a little bit small for Neva and so I decided on a whim that this would be the day. In the morning I changed the sheets on the beds and Neva and Barrett napped in their new beds for the very first time. The boys were downstairs while I finished up changing everything around that morning. 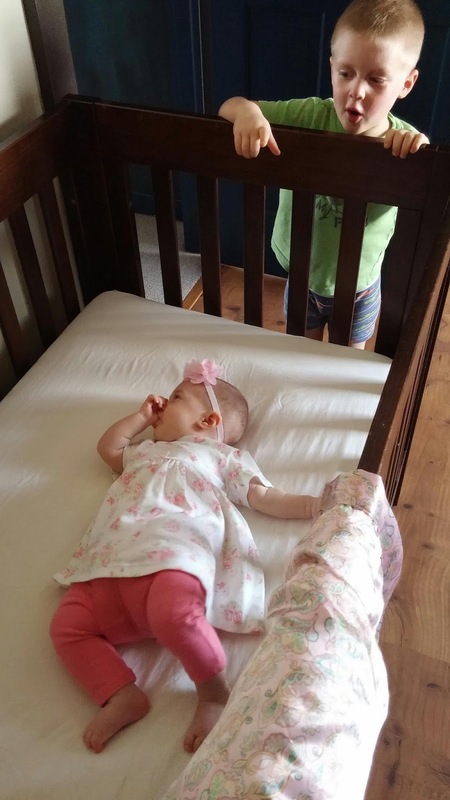 When William came back into the room a couple hours later and saw Neva's crib (looking pretty much just the same way it did with Barrett inside, except it had a pink blanket draped over the edge), he exclaimed, "Neva's bed is beautiful! It's so great! She's going to be so Neva-er! (?) Can you put her inside it? Can I see her in her new bed?" On the way home from a family trip to Home Depot, Will asked Barrett excitedly, "Barrett, are you so excited to sleep in my BIG BOY BED?" "But Barrett! Bunk beds are fun!" He had a hard time saying "bunk beds" (kept pronouncing it bunk becks) and had to try it 5 or 6 times while Barrett waited patiently. "MOM!!! Barrett says he doesn't want to sleep in his big boy bed!" "It's okay, buddy," I said. "He already napped in there. He'll be fine." Barrett does certainly enjoy the freedom to hop out as he pleases. William would stay put. Barrett's out of there in a second, running to the bookshelf to grab something to read. Will was so excited. "I'm going to sleep in the Big Boy Bed, Barrett's going to sleep in my bed, and Neva's going to sleep in Barrett's bed!" Before they went to sleep, we prayed for them like we do every night, and as Brian finished praying it occurred to me that for Will and Barrett, these are the beds they're going to probably sleep in for many, many years, and I prayed for them. I prayed that they would have peaceful rests and wonderful dreams in their new beds all the nights they slept in them. After Brian left and I finished nursing Neva, I climbed the ladder to sing Will his song. When I finished he said softly, "Mommy, thank you for you and Daddy, to make my bed so nice." His smile was so soft and round-cheeked. He looked cherubic. "That's such a nice thing to say, Will," I said. "You're welcome." 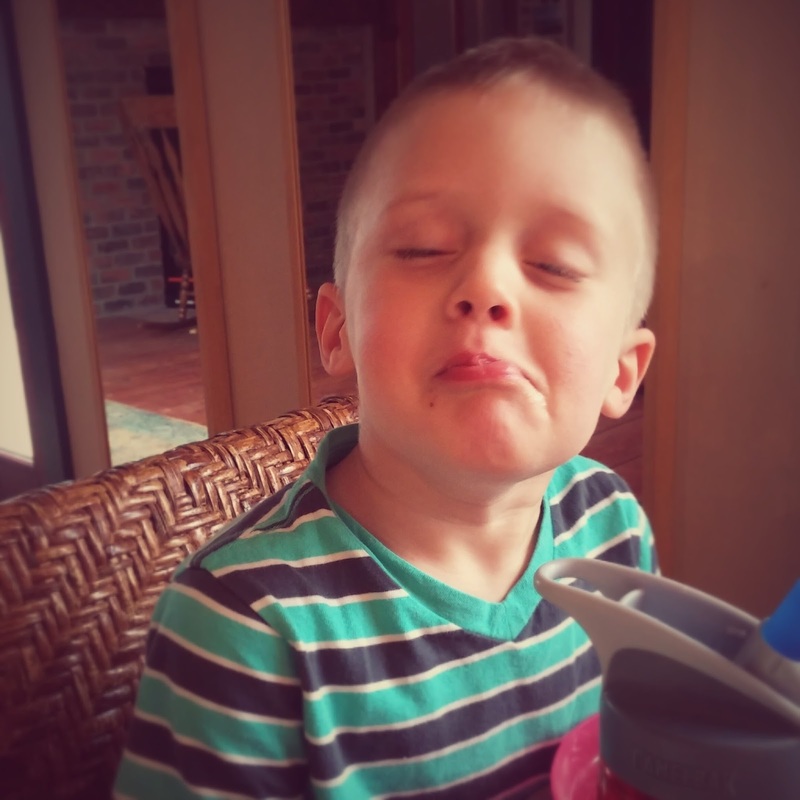 Then he said, "Mommy, I know you miss Auntie Erin." Ahhh. The subject ever on my my heart and mind. In that particular moment, after having so maturely thanked me for our efforts in making his bed, it seemed so perceptive of him to say such a thing. I held my breath. Would he say something more? 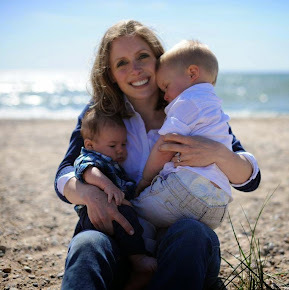 Something profoundly reassuring, something comforting and wise about Auntie Erin? Something I would cling to later? "I just don't think she's going to come back to my house again." Ha! Some comfort. And then, he made such a goofy face- corners of his mouth turned down and eyes looking comically off to the side. A classic "Will" face. "Mommy, why do you miss her?" "I want to see her and talk to her." "Well, Mommy, Kurtis is my friend and Grandma is Barrett's friend." "Okay, buddy." Not the level of profundity I had prepared for but... Okay. 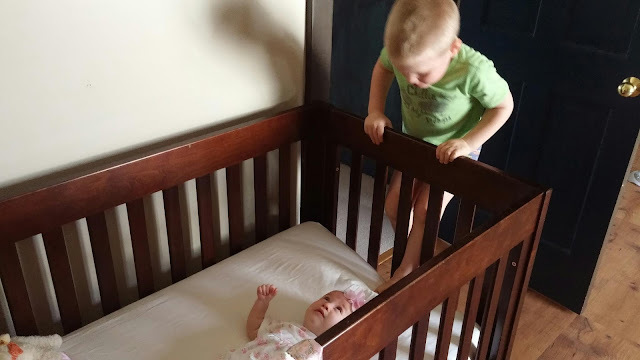 Will looking at Neva in her "new" bed. "Mom, she's so beautiful in her bed!" Barrett suffers from the wiggles in his new bed. 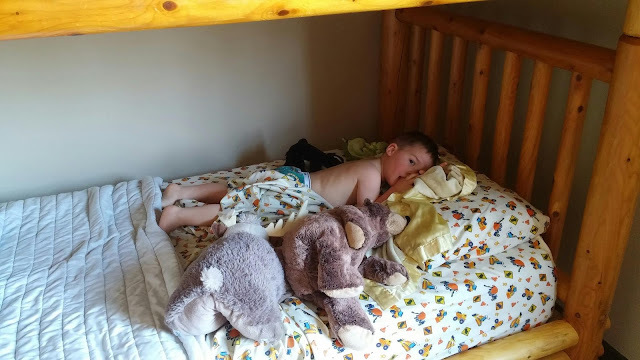 Those stuffed animals kept getting knocked out and he kept getting out to get them (this was taken right before his Very First Nap in the Big Boy Bed). Finally I said, "Barrett, no. Leave them! Go to sleep." A bittersweet sight. 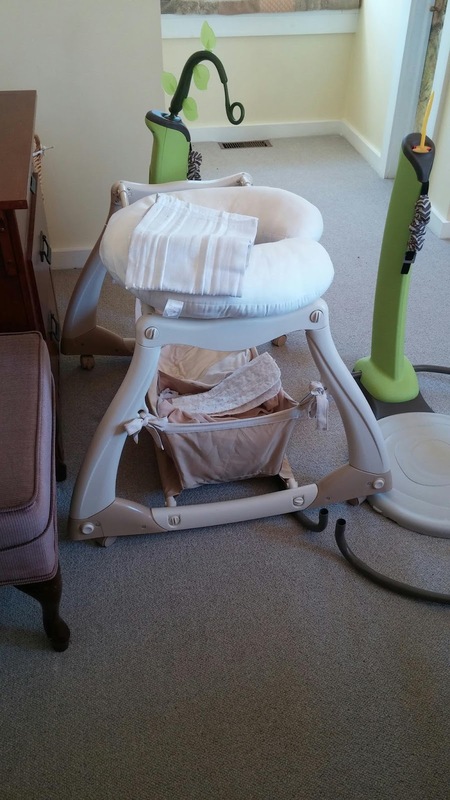 The bassinet, partially disassembled, and the naked Boppy pillow, no longer in use. The newborn things are done. Will did L for Lion today. 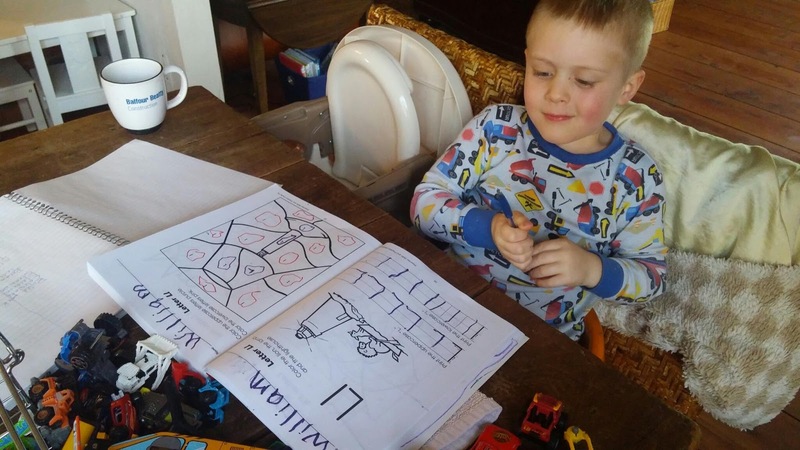 We've been plugging through this worksheet, a page a day. His fine motor/writing skills are improving quickly. This was so sweet, and sad.